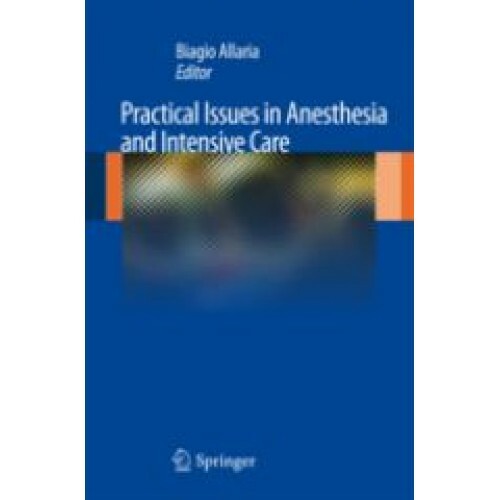 This book, written in a straightforward and easy-to-read style, focuses on important and debated current issues in anesthesiology and critical care medicine. The topics considered are wide ranging - particular attention is devoted to general topics of importance to the practitioner such as sedation, sedoanalgesia, diuretics and other drugs correct use, but specific controversial issues, such as the role of goal-directed hemodynamic therapy, or acute liver failure in intensive care, are also addressed. All of the authors are recognized experts on the subjects they discuss, and will be an important resource not only for anesthesiologists but also for all those wishing to be updated on this topic. Critical care medicine in the elderly: clinical, ethical and economic controversies.- Does GDHT still make sense in the perioperative period in the critical patient?.- Abdominal compartment syndrome and intensive care medicine.- Acute liver failure.- The use of diuretics in intensive care medicine.- Hemorrhage and the perioperative period: the hematologist’s opinion.- Hypercapnia.- Are we sure of using drugs in the right way in critical patients? Decontamination of the digestive tract.- Kidneys, heart and lungs during dysrhythmias.- VAP (Ventilator-Associated Pneumonia).- Artificial respiration and the asthmatic patient.